In this Aug. 9, 2017, file photo, Louis C.K., co-creator/writer/executive producer, participates in the "Better Things" panel during the FX Television Critics Association Summer Press Tour at the Beverly Hilton in Beverly Hills, Calif. Comedian Louis C.K. has returned to the stage for apparently the first time after he admitted to engaging in sexual misconduct. In a set filled with bits on racism, parades and waitresses’ tips — what Comedy Cellar owner Noah Dworman described to the New York Times as “typical Louis C.K. stuff” — the comedian was said to be “very relaxed” in his return to the public eye. What was not addressed, however, was his admission of wrongdoing that made C.K. one of the many men to face the consequences of the #MeToo movement. The initial sexual misconduct accusations, and his admission a day later, led to FX Networks ending their production deal with him, essentially killing the release of “I Love You, Daddy,” a film that included scenes with the kind of behavior mentioned by the women who came forward. There was also anger directed at the Comedy Cellar for allowing C.K. a stage to perform so soon following his admission of sexual misconduct. “many good, well-employed comedians regularly perform at the Comedy Cellar. 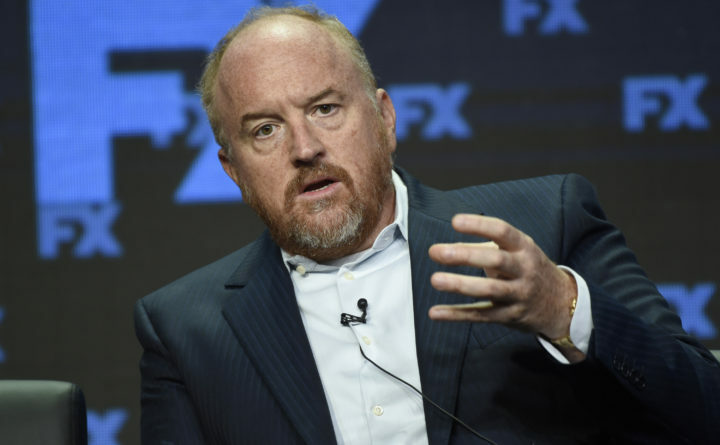 they all have the power to make it clear that Louis CK’s return is not acceptable,” Seth Simons wrote on Twitter. A longtime haunt of his, the Comedy Cellar was a likely place for C.K.’s unexpected return to the public eye. The front of the club was prominently featured in the introduction to “Louie,” his FX show that aired from 2010 to 2015.